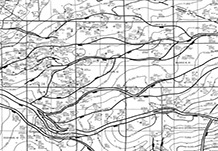 GEOMAP® COMPANY, founded in 1959, is one of the largest suppliers of geologic mapping services in the United States. 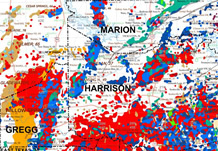 Geomap creates customer solutions and provides leadership in the field of petroleum geology. 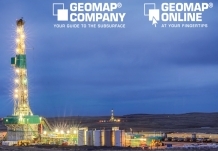 Major oil companies, major independents, and numerous small independent operators rely on the expertise and information available at Geomap. It is our privilege to assist our customers with oil and gas exploration and development by providing well organized, up-to-date and reliable information. In addition to exploration companies, Geomap® Company provides services to environmental firms, drilling contractors, financial institutions, utilities, and law firms. Let Geomap be your guide to the subsurface, helping you maneuver easily and quickly through a maze of prospects or producing properties. We manage large volumes of data for the benefit of our customers in the Geomap Data Center in Plano. Geomap's success results from our commitment to customer satisfaction. Our well-trained and experienced staff is dedicated to rigorous quality control procedures to ensure that our products and services are accurate and provided in a courteous and timely manner. We offer a full spectrum of reconnaissance tools designed to aid in high-grading prospects or evaluating producing properties. Come along with us as we explore the possibilities. Geomap's structural mapping services familiarize geoscientists with the structural setting of an area. Mapping services are kept up-to-date by a geologist in each basin. 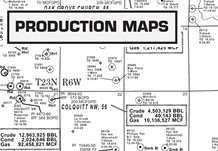 Geomap's structure maps provide an objective second opinion to other geologic interpretations. A subscription membership to any of Geomap's structural mapping areas also offers many other benefits.